Fitted with the same EMI-absorbing GC-303 module and the company’s own FP-201 Rhodium-plated, non-magnetic Pure Copper spade terminals, this time constructed with six bundles of the 20-strand of the α-OCC conductors with a center αμ-Conductor in two twisted cores, the speaker cable is insulated with a 5.1-mm thick air-foamed Irradiated polyethylene to reduce capacitance and vibrations. 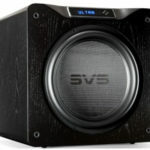 Also protected by thicker, redundant layers of shielding similar to the Audio Reference III interconnect, the Speaker Reference III, however, belonged in an entirely different level of existence. GamuT L5 Take, for example, how a double-run of Furutech’s single-wiring, 2m Speaker Reference III solidified GamuT Audio of Denmark’s bi-wiring, $12k L5 loudspeaker’s entire spectrum as produced by the $10k Accuphase E-500 integrated amplifier, when the Audio Note Sogon LX silver speaker cables would reveal those imperfections that the Furutech never brought to the foreground. With the Furutech, the GamuT speakers’ reproduction of Evgeny Kissin’s Steinway piano (RCA Victor) or Kiri Te Kanawa’s angelic intonation of “Das himmlische Leben” in Mahler’s Fourth Symphony, describing how St. Peter looks down from heaven (Decca), conveyed a most balanced spectral makeup amidst potent dynamics. Textural makeup of the Furutech/GamuT via the high-purity α-OCC/αμ-Conductor was surprisingly serendipitous, as studio reverberations continued to be reenacted and sustained amidst highly polished sounds of instruments. 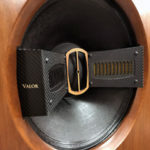 Again, while the ultimate resolution of the Furutech was lesser when compared to the $12k Audio Note Sogon LX speaker cable, the α-OCC/αμ-Conductor nonetheless produced a resounding top-end of smooth texturing amidst a well-controlled bottom-end. The Furutech Speaker Reference III’s conquest of the $12,500 MaxxHorn Immersion, a horn-loaded single-driver behemoth with 104dB sensitivity, was rewarding and GamuT L5 riveting. Whereas the Sogon would, again, accentuate certain lesser-formed portion of the MaxxHorn’s spectral reconstruction, the Furutech boded coherently with this PHL-driver-equipped, unconventional Texan exercise in the purging of horn nasality, accompanying the horn speaker in churning out seamless spectral integration from an impossibly small-diameter diaphragm. 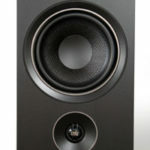 Burning-in the Speaker Reference III requires a longer period than that on other speaker cables, and the need to alternate equipment of differing calibers frequently in my household did not help. The Speaker Reference III has received arguably less than adequate playing for a complete burn-in process; and I believe it will sound even more exceptional after a few more months. All cables incite varying degrees of coloration, and although Audio Note’s high-strand silver Sogon™ cable is the only one with such minimal deviation in dynamics, propagation and tonality that is yet to be surpassed, high-purity copper is the most viable alternative to silver cables for more than the singular reason of cost. As electric signal transfer is one property of this hobby that we shall never be rid of, we have been earnestly engaging in discovering superior materials and methods, to the end of preserving signal integrity in its electrical transmission. Next to a state of vacuum, silver has been recognized as the more common metal with the highest conductivity next to gold. Cost of silver is prohibitively high, hence copper, with the next highest conductivity, has been the preference for reasons of economics and efficiency. Recent years’ advances in material and manufacturing process refinement have elevated the potentials of the copper significantly to the point, that the more affordable metal is now generally preferred over the exotically priced silver. Accordingly, voicing of equipment by designers and engineers are performed predominantly with copper as the content of preference. Therefore, in the exception of the best of machines, it is no wild wonder, that a good portion of equipment would produce a sound less coherent when high-strand silver, instead of copper, is employed in the observation of their sound. Accordingly, where high-strand silver cables would accentuate its superiority in resolution rendition over copper ones, they represent an inadvertent detriment to the original intent of the specific equipment’s designer, whose design philosophy was intended to benefit the larger audience with modest systems and not the super high-end. It was only when equipment of much higher caliber were partaking the music reproduction process, such as the $26k 47 Lab PiTracer, the $55k Audio Note DAC5 Signature, the $50k M10 preamplifier, the $69.5 k ONGAKU, etc, that the Furutech’s resolution prowess was found wanting – compared with the Audio Note Sogon LX. 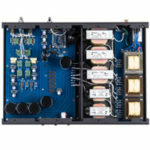 In the context where only the Audio Note Sogon™ cables could work to the communal benefits of the super system mentioned above, the Furutech Reference III cables were a beautiful and surprisingly viable solution for the $20k Wadia 270se & 27ix v3.0 digital front-end, the $15.5k Harmonix Reimyo CAT-777, the $10k Accuphase E-550 integrated amplifier, the $9k Linn Klimax Chakra 500 Twin and the $12k GamuT L5 loudspeaker. But even in earlier days with lesser equipment, no meager copper of any concoction had ever convinced me of its viability in my system, with the exception of a few $5,000+ products of baffling, stress-inducing tonnage. The Furutech Audio Reference III and Speaker Reference III are technologically advanced cable products, and they sounded as powerful and refined as many of the vastly more expensive copper cable of major makes that I had auditioned. And they are much lighter than many other makes’ best efforts. If your system requires the most resolving cables, and you plan to spend $5,000 and up on cables, then you must audition the Audio Note silver cables. 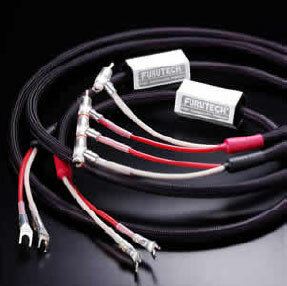 If you don’t want to spend that much, the Furutech Reference III cables are best buys. Furutech’s $990 Audio Reference III RCA, the $1,120 XLR, and the $1,100 Speaker Reference III, are easily three of the most fantastic in cable investment. Maybe I am not understanding the above quote correctly. . . ? Ions and electrons may form as beams within a vacuum, however to interface these electrons as a flow of current without a physical medium (a current source and a conductive element) presents one heck of a challenge. The elements chart has silver listed as the metal with the highest level of conductivity, followed by copper, then gold. And then there is graphene. I wonder what a cable using graphene as the conductor within a vacuum insulator might do for audio?